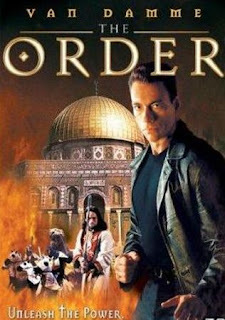 Rudy (Van Damme) is a charming smuggler whose father is an archaeologist. When his beloved dad goes missing, Rudy travels to Israel to try and find him. While there, he meets his father’s old friend Finley (Heston) and they begin the search. Complicating matters are authorities that want to find Rudy, and a mysterious, ancient “Order” led by cult leader Cyrus Jacob (Thompson). Will Rudy navigate his way through the complex web? A director specializing in Van Damme vehicles, Sheldon Lettich returns to Israel after his previous effort, the horrible The Last Warrior (2000) (surprisingly, with Dolph and not Van Damme), which was also shot there. Fortunately, The Order is far better and is decently entertaining. Yes, it has all the stupidity we’ve come to know and love from Nu-Image, but the Israel locations add a lot and the movie has a good pace. Van Damme gives a pretty upbeat performance as Rudy, whose claim to fame is that he’s a black market Faberge egg dealer. His funny line readings are one of the main joys of this movie. Seeing as Van Damme co-wrote the screenplay, he obviously cared a little more this time, and the viewer reaps some of the benefits. Like Gary Daniels in Hawk's Vengeance (1997), we’re treated to the sight of the main hero dressing as an Orthodox Jew and doing some fighting. This appears in the scene with his The Quest (1996) co-star Abdel Qissi. Also the circular bump on his forehead is here, as can be seen in many of his 2000’s-era efforts. As far as the presence of Charlton Heston in a Nu-Image production, you have to ask: Why? How? How did this happen? There’s even some minor Heston-Fu! It’s definitely an unusual sight to see. Of course, Yahoots Magoondi himself, Brian Thompson also is here, playing the leader of the mysterious sect. It seems like good casting, but it would have been nice to see a little more of this aspect of the plot. Like a lot of movies of this type, there are some scenes, especially in the second half, which are under-lit and very hard to see. But on the bright side, Pino Donaggio contributes a great, theatrical-style score which helps a lot. Due to similar subject matter, The Order would make an interesting double feature with The Minion (1998). Someone try it and tell us how it goes. For a Nu-Image title made during a low ebb in Van Damme’s career, The Order is surprisingly good, maybe the best made under those circumstances. Charlton Heston? For real? lol. Funny you should mention, I've been trying to get through The Last Warrior with Dolph but it's soooooo slow! Who knows if I'll ever finish it. That pic of JCVD disguised as a hasidic Jew just sold me. I'm watching this tonight! 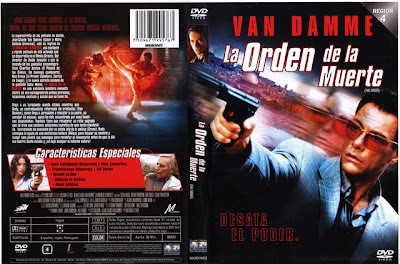 Agreed, I think this is one of Van Damme's more underrated films. I worked at a video store around the time this came out and someone rented the DVD the first day and never brought it back, so I never got a chance to check it out. Excellent review. I had no idea Brian Thompson was in this. I'll definitely have to see it now. RobotGEEK: Thanks! Lol, we couldn't believe our eyes when we saw Charlton Heston was in the movie! Also: The Last Warrior is pretty terrible. What a waste of time. We have a review of TLW on November 2nd! Jack Thursby: Awesome! Looking forward to your opinion! It would sell anyone! It sold us as well. Venom: It was surprisingly good for a Nu-Image Van Damme flick. Videovacuum: Thanks! That guy obviously loved The Order so much he never gave it back! Haha, It is not worth stealing and it is worth seeing! Yeah, Last Warrior is one of Dolph's worst films next to Jill Rips and Final Inquiry. also Agent Red was pretty bad! God help me, I actually found Agent Red somewhat entertaining in a so-bad-its-good way. We tried to like Agent Red, but the writing and directing were just so horrible. Dolph couldn't save it. We have a review for it coming on November 25th for Dolph Month! This was a ton of fun, and I agree, one of his better DTV efforts. Great stuff! Thanks! We totally agree with you. Okay, watched this flick this afternoon. You're absolutely right, this is pretty good considering 1) it's a Nu Image film and 2) It's a DTV Van Damme film. There's definitely some channelling of Indiana Jones going on. I thought it a little weird that Heston was in the film for literally 4-5 minutes. I kept expecting him to pop up at the end again somehow. Oh well. 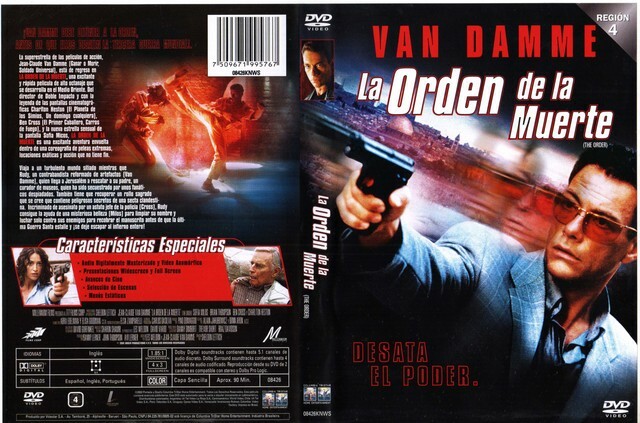 One thing that can be said for Van Damme's DTV flicks is that the plots are way less convoluted than Seagal's. Totally agree! This was surprisingly decent. You're right about the Seagal plots. There are too convoluted for a DTV! Dude. 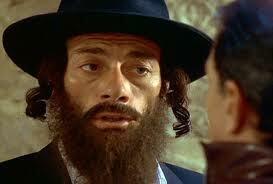 You need to put up some kind of disclaimer BEFORE you post pictures of JCVD as a Hasidic Jew. I nearly soiled myself. That is hands down the greatest screenshot I've ever seen. Haha! We will start doing that for the silliest pictures! It is a hilarious screenshot! Ben Cross is also a scene stealer in this. Any future reviews of his work in the future? You'd love The Criminal Mind (1993). Ben Cross is always good. We don't have any of upcoming movies of his though. We'll keep an eye out for The Criminal Mind.